A 2008 interview with Robert Kurz on the financial crisis. You were interviewed by Telepolis in 2002, after the collapse of the “New Economy”. What has changed since then? That was when the particular financial bubble of the dot.com sector burst, which was astronomically overvalued. The corresponding sector of the “new market” in the stock exchanges was liquidated, which led to a general crash in stock prices. With this fall in prices there was a corresponding decline in the recycling of money from the financial markets into the so-called real economy (investments, construction, consumption), leading to a brief period of recession or stagnation in the world economy. An attempt was made to deal with this partial crisis with a race by the central banks to reduce interest rates, especially by way of the surplus supply of dollars, under the aegis of Alan Greenspan. In this way a new and much larger financial bubble was inflated, the famous real estate bubble, in the United States and in parts of Europe and Asia. Once the prices of every type of real estate had risen to extraordinary levels, it was possible to mortgage houses and condominiums in order to obtain loans, which stimulated consumption and investment at a much higher level than was the case in the previous financial bubbles. In this way a situation of global deficit was nourished, which served as a powerful stimulus for the enlargement of the deficit circuit of the Pacific, for Asian exports (as part of the transnational strategy of the corporations) exclusively for the United States, and which constituted the basis of the “miracle of growth” of China and India. Beginning in 2005 the European export markets also benefited, especially the German machine industry. Stock indices rapidly rose again throughout the world up to the previous peak levels. From a positivist perspective, which sticks to the “facts”, abstracting from the context, it appeared that a new era of prosperity had opened up for the 21st century. Now, unlike the situation in 2002, the current crash does not affect a mere isolated bubble. The mortgage crisis affects the entire banking and credit system, and basically endangers the future refinancing of the mountains of global debt accumulated in the last few decades. This is much more dramatic than the previous collapse of a segment of the new economy. For this reason, as well, its repercussions will have a drastic impact on the world economy and it will not be so easy to restore stock values in a new, long-term, ascendant movement. It is often said that a handful of bad managers, with their greed and frequent lack of integrity, are to blame for the world crisis of the financial markets. Others think that the crisis has structural causes, linked to the increasing difficulties involved in the valorization of capital. Could you give us your opinion on the present financial crisis? The search for subjective culprits is the preferred mode of capitalist reason in reacting to the objective crisis, because the system of the end-in-itself of the “valorization of value” and the living conditions determined by it constitute the historical basis of this mode of reasoning and seem to exist like “natural given facts”. Any contradictions are attributed to individual “morality”. It is in this context that people turn to ideological traditions, anti-Americanism and anti-Semitism, for example. The crisis is then reduced to alleged negative qualities of “cultures” or collective subjects. But even those who speak of “structural causes” often cannot free themselves from that way of seeing things. For as a rule, when you hear someone talk about “structure” and “system”, they are not referring to capitalism as such, but only to a particular “model”, a particular mode of operation and regulation of the context of the blindly presupposed capitalist form. Thus, at the present time, it is the “Anglo-Saxon model” that is held to be responsible for the crisis. But what is involved here is not a “model”, which could be replaced by another model on the same foundations, but the very logic of valorization, whether with regard to the mode of regulation or “economic policy”. According to Marx, the “substance” of value and of valorization (surplus-value) is the expenditure of abstract human energy in this social form. Labor power, however, can only be utilized at the level of the standard of productivity established in each case by competition. It follows that there is a systemic self-contradiction, which is being manifested on an expanding historical scale. The greater the productive forces as a result of scientific advances, the less substance of value in each commodity and the higher the start-up costs of production. The movement of this contradiction leads to a situation in which the markets have to grow constantly and valorization becomes increasingly more dependent on credit, which is granted in anticipation of future surplus-value. This contradiction reached its culmination in the Third Industrial Revolution of microelectronics. Growth can only continue on the basis of increasing indebtedness on all levels, that is, by way of an increasingly larger anticipated quantity of future surplus-value, which will actually never be possible to realize, because the growth of productivity evacuates the substance of value. The “financial superstructure” had already begun to uncouple from the real production of surplus-value in the 1980s. Mass unemployment and widespread part-time and precarious patterns of employment, on the one hand, and the expansion of “fictitious capital”, on the other, constituted the two sides of the same coin. Starting in the 1990s, the process of recycling capital from the financial bubbles into the real economy began. Production and consumption were then based less and less on real profits and wages, and more and more on revenues from fictitious increases in value in the sphere of circulation (buying and selling financial securities). This situation fostered the optical illusion of general economic growth, which in every instance went hand in hand with the inflation of the financial bubbles. The social disparity between an apparently limitless increase of “abstract wealth” and mass poverty and precariousness arose against this background. The succession of financial crises that followed one after the other since the late 1980s was an indication of the capitalistically unproductive nature of this kind of development. And now, with the new quality of financial crisis, from this perspective the culminating point is approaching. The ongoing “meltdown” in the credit system makes it harder to inflate the new financial bubbles, or even makes it impossible to do so. The new currency surpluses of the central banks no longer indirectly feed the economy, but are limited to managing the bankruptcy of the economy of the financial bubbles. The bursting of the real estate bubble was a crisis that had long been predicted by some economists. Politicians, after years of having ignored the warnings against speculative transactions, now affect an attitude of surprise. Is this a result of ingenuousness or is there some hidden strategy here? The economists of the “Cassandra faction”, to whom you refer, in fact called attention to the potential for crisis of the financial bubble, but saw it as merely an “erroneous policy”, or an “excess”, without recognizing the internal connection with the lack of any basis of real valorization and with the trend towards deficit financing. That is why they based their analyses on the idea that the bursting of this bubble would lead only to a temporary hiatus in the course of world economic growth, which in their view would soon recommence. In the last few decades the political class, all over the world and regardless of party affiliation, went hook, line and sinker in favor of neoliberalism and its postulate of deregulation, precisely because it could thereby seemingly fend off an encounter with the limits of capital valorization, which were just then coming into view. The current one-hundred-eighty degree u-turn, with the bizarre spectacle of a miraculous transformation of hard-core liberals into State Capitalists, must above all be considered as an act of desperation. Just as the neoliberal trend was a blind flight forward, the same thing is largely true of the current reversal of that trend. This has nothing to do with ingenuousness, nor is it the result of a grand strategy, but is rather the result of the blind alley in which capitalist institutions find themselves, which the economic and political elites nonetheless present as the only possible form of social existence. Peer Steinbrück has presented a so-called eight point plan for salvaging the toxic products of the banks. What do you think of these proposals? This plan, as it is optimistically called, is an insubstantial program of nonsense, and will after a few days be thrown in the trash. It does not go beyond demands, in themselves trite and cheap, for “more transparency” in bank transactions, completely vague reflections on re-regulation, and populist posturing, in the sense of popular rage against “the high profits of the managers”, as a mere diversionary maneuver. What Steinbrück only hesitantly refers to has since become a reality in the G-7 Summit: generalized State guarantees, widespread nationalization of the banks and a transition to “creative accounting” (revision of the rules regarding bank reserve funds). It is basically the same kind of con game that is also involved in the case of the “creative” revision of unemployment statistics and the inflation rate. But the mass of bad debts cannot be so easily conjured away like social statistics. The State, despite its parsimony with regard to the minimum income for the beneficiaries of the [anti-social program] Hartz-IV, now suddenly has billions for bailing out the banks. Where did that money come from? That is all it has. It is just that it is not ready to resort to such methods of risky financing to help support the existence of human beings, “superfluous” according to capitalist criteria, although it is ready to do so for the preservation of the financial system. These unprecedented sums (trillions rather than billions) have to be obtained—this is the only way—in the global financial market, by way of additional loans, which have in the meantime become more difficult to get under the new conditions. The State must pay higher rates of interest, which causes a rise in interest rates across the board, which works in opposition to the policy of reducing the interest rates of the central banks, or else it has to impose a drastic increase in tax rates. Whichever hypothesis prevails, the whole economy is on the verge of going over the edge, anyway. The other hypothesis consists in the central banks simply transferring money created from nothing directly to the State, without any counter-guarantees; and possibly also to the corporations that are on the verge of bankruptcy, in order to postpone the world economic crisis. This would therefore imply the liquidation of the institutional limits imposed on the creation of money and the direct resort to the printing press, as in the war economy of the First World War. Which is what you do not want to do again, untrammeled and on a new scale; the same means that is now regretted as the cause of the financial crisis. The result would be galloping inflation that is now already noticeable at a low level. Let’s say a cup of coffee would cost 30 Euros; an induced economic growth of that kind would be reduced to an absurdity, while all money savings would be simultaneously devalued. The State guarantees that are currently being sold as “confidence-building measures” can rapidly be transformed into their opposite, if the modalities of questioning financing assume a concrete form. Ironically, the terror of financeability, which has up until now prevailed in anti-social crisis management, is now turning against the capitalist system itself. One gets the impression that, after decades in which the profits obtained in speculation were going into private pockets, the losses are now socialized, and perhaps even, with the government bailouts, immense sums of money are being handed over to those who caused the crisis and pocketed the profits (Paulsen)? In capitalism the profits are always privatized and the losses socialized in crises, this is inherent to the system, it is nothing new. And therefore speculation is not the cause of the crisis, but merely the consequence of the lack of possibilities for real valorization, which is finally manifested in the crisis. Popular resentment against the vultures of finance has nothing to do with emancipatory critique, but results from the illusory atavistic faith in a “healthy” capitalism, which is precisely what provoked the crisis. What is “respectable” in this society is purely and simply pocketing profits; in this view, any proprietor of a small or middle sized business is a profiteer of profoundly honest profits, not to speak of the owners of very small businesses that pay their employees poverty level wages. This appropriation of profits is not even a relation of subjective will, but an objective necessity of the system; managers are only its functionaries. 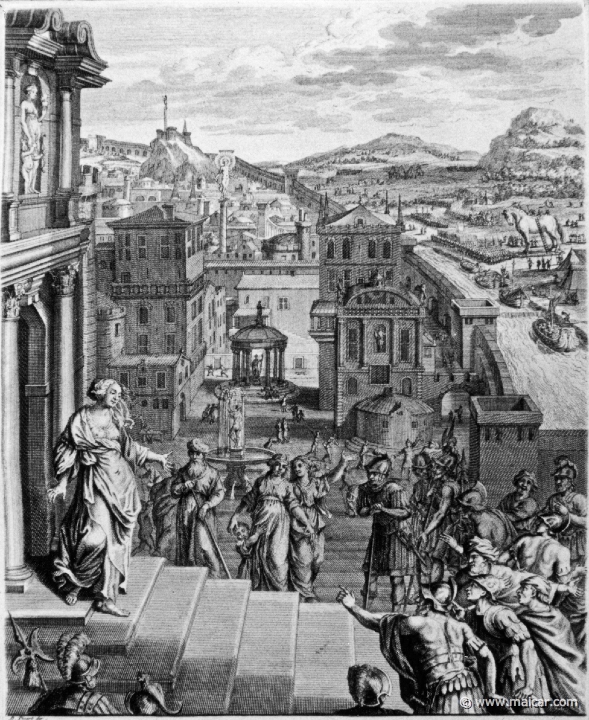 When the general popular preconception of the financial crisis consists of a denunciation of only the bankers as appropriators of profits, and which views only the bankers as culprits, this preconception must itself be denounced as the mentality of a compliant beast of burden, which sees itself as an appropriator of “normal” and “honest” profits. As for all the other, seemingly “normal” appropriators of profits “in the real economy”, the deficit-based export and service sectors have been able to survive over the last few years precisely as a result of the “deficit spending” of the economy of the financial bubbles. The admirers of “honest” capitalism should really be grateful for the fact that speculation rendered it possible for them to enjoy a supplementary addition to their lifespan, for otherwise the “mother of all crises” would have arrived much sooner. In any case, this crisis is assuming such a scale that even the socialization of the losses is becoming precarious. If the State assumes command, then the bankers will become its de facto employees, and the immense sums will no longer be deposited in the pockets of Ackermann & Co., but in the black hole of the management of global bankruptcy. In your opinion, is there any politician, at a national or world level, who is proposing the right measures? So, now am I supposed to say, “Obama”? He probably is going to be held responsible in the confusion in the United States, and he has a chance of having a career as a “black” scapegoat, because his campaign for “change”, which is quite impoverished with regard to contents and is only effective as a media strategy, will inevitably be revealed as completely vacuous. And then his charisma will not help him. So-called politics is simply the form of management of the system and of human beings, as the other face of the capital relation. Anyone who gets involved in politics has already sold out, with his “adaptation” to its systemic criteria, in the fetishistic matrix of the valorization of value. That is why the political left, too, always once again comes around “to” capitalism. Politics can only manage the most pressing contradictions and patch up the holes only to reopen them. What is unfortunate is that under certain circumstances, the ear of politics that listens to the opinion polls, and which does not hear everything, is not deaf to the threat of populist exaltation of a mass consciousness that seeks victims, when capitalist living conditions are restricted to the complacent mainstream. It is currently claimed that the SPD-Green coalition created the conditions that made it possible for the financial crisis to affect Germany. Is there any truth in this? If the Finance Minister, Oskar Lafontaine, could have implemented his policy would Germany be any better off? There is an unbroken continuity in the neoliberal trend since the Kohl administration, then the green-red coalition under Schröder, up to the present coalition under Merkel. Intermediate shades are merely hiccups in this trend; cosmetic modifications, due to different ideological colorations, were not essential. It is obvious that the green-reds set the stage for the development that would necessarily lead to the present crisis, by way of the favorable tax status that helped make possible the “big spree” of the battle of the mergers and acquisitions. This was merely the other side of Hartz-IV. The green-reds in this case responded not only as part of the neoliberal mainstream, but also as part of the objective dynamic of the process of the capitalist crisis. After the end of Fordist prosperity and the collapse of Keynesian regulation in the inflationist conjuncture of the early 1980s, growth could only subsequently be simulated by way of the expansion of “fictitious capital”, which was made possible by neoliberal deregulation. The green-red government was a capitalist government; what else could it do? As such it could only respond, in the framework of globalization, in accordance with the conditions of valorization that were deprived of their basis. Lafontaine and his supporters were not critics of capitalism, but nostalgic admirers of a national Keynesianism that had long ago ceased to function. As a government policy it has since failed. The invocation of a “model Germany”, which was supposed to be able to disconnect from world capital, is not only an illusion, but is essentially nationalist and reactionary. Such views can now be heard coming from Merkel and Steinbrück, too, who imply that the misfortune came from the United States to invade the innocent and stalwart Germany, whereas actually they were involved in the whole business from the very start, elbow to elbow with the “greedy” ordinary small-scale speculators, who are now more than ever before playing the role of victims of a con game. Lafontaine’s program was only effective with regard to opinion polls and “to get out the vote”, insofar as it would never be implemented as government policy. Where the Party of the Left participated in a Regional government (Berlin), it supported the cut-backs in social services as “objectively imposed”. That is why a faction of “realos” has emerged in that party—such a faction previously arose among the Greens—who want to join with Lafontaine in order to become capable of participating in the national government. This is not to be ruled out, should the crisis become more acute. The “realos” could ride the wave of “pragmatic” State Capitalism, suddenly rehabilitated, because they will rapidly be accepted as partners in power, if they furnish the legitimization of the co-management of the crisis like good students. ATTAC is widely considered to be the Forum for the most incisive critique of neoliberal financial capitalism. What do you think this means, in analytical and practical terms? ATTAC’s critique is not incisive, but obtuse, and has always been obtuse, and, like the ideas of Lafontaine, is infused with Keynesian nostalgia. An isolated critique of neoliberalism is of no use at all, because it does not analyze the internal connection of the neoliberal turn with the limits of the real valorization of capital, but considers neoliberalism to be merely an “erroneous” economic policy, allegedly imposed by way of a kind of putsch. If capitalist elites are now abandoning neoliberalism, as precipitously as they once dismantled Keynesianism, this only proves that capitalism does not coincide with a particular mode of regulation. A fortiori, an isolated critique of financial capitalism is useless, because it turns the relation between the real economy and the financial superstructure upside down, and because it makes speculation responsible for a crisis that has its origin precisely in the logic of valorization itself. ATTAC does not want anything but a “boom” in capitalism that will create lots of jobs. This kind of “critique of capitalism” has long been criticized as being reactionary and, consciously or unconsciously, whether it wants to or not, it contains a “structural anti-Semitism”, because it does not attack the foundations of capitalism, but only responds to the popular prejudice about “rapacious capitalism”, which is made responsible for all social disasters and has been associated with the Jews for 200 years. ATTAC’s response to this charge has always been, in the best cases, dubious and flimsy. That is why, in the not at all transparent circles around ATTAC, there is so much sympathy for that devourer of Jews, Ahmedinejad, who is described as an esteemed “anti-imperialist” figure and who has also publicly declared that the cause of the financial crisis is the “global Jewish menace”. ATTAC currently appears to be busy communing with, instead of imagining, the ghosts summoned by the isolated critique of speculation. Now, when ATTAC, with the onset of the great financial crisis, with the end of neoliberalism and with the transition to re-regulation and the nationalization of the banks, sees its dreams of efflorescence maturing, and hopes for, with the Minister of Labor Scholz, the return of the Keynesian social State, it can only be ashamed of this option in the short term. In reality, capitalism will be reduced to its real conditions of valorization. As a result, a global depression is on the horizon, rather than a return to “real” growth after a “wrong turn”. The new State capitalism will display an ugly face as it dramatically aggravates repressive crisis management. Maybe Hartz-IV will even seem relatively mild in retrospect. And then? Will ATTAC have to end up calling for the return of the economy of financial bubbles, because it is incapable of challenging capitalist ways of life as such? Or will people just break down amidst the whirlwind of mass ideologies that confirm our worst fears? Or is the only thing we can do is pray that we should be turned into a Pope? What comes next after this annihilating crisis? To speak of an “annihilating” crisis renders the question about what comes “next” somewhat inadequate. The congenital belief of the left in capitalism’s capacity for regeneration corresponds very closely to the commentaries in the economic press, which also speak of “post-capitalism”, while the real scale of the crisis has hardly even begun to be revealed. There will naturally be technical adjustments in the markets as they once again resume their upward movement, perhaps nourished by short term hopes regarding the effectiveness of the government recovery programs. But the dynamic of the process of the crisis will not return to the previous level, if new potentials for real valorization do not emerge, which are nowhere in sight. Each temporary stabilization can only pave the way for the next, even more violent, outbreak of crisis. An autonomous social counter-movement is necessary, one that transcends the national framework, a movement that will not allow the crisis managers to act contrary to the vital interests of the population, a movement which rejects all social, gender, ethnic or “racial” exclusion. A movement that is nonetheless just as impossible to discern as the new potentials for valorization. Therefore, what can be said is that social disintegration will continue, on an unprecedented scale, in the centers of capitalism as well, including the “innocent” Federal Republic of Germany. Translated from the Portuguese translation in October 2014. Originally published under the title, “Interview mit der Internet-Zeitschrift ‘Telepolis’”, at www.exit-online.org.